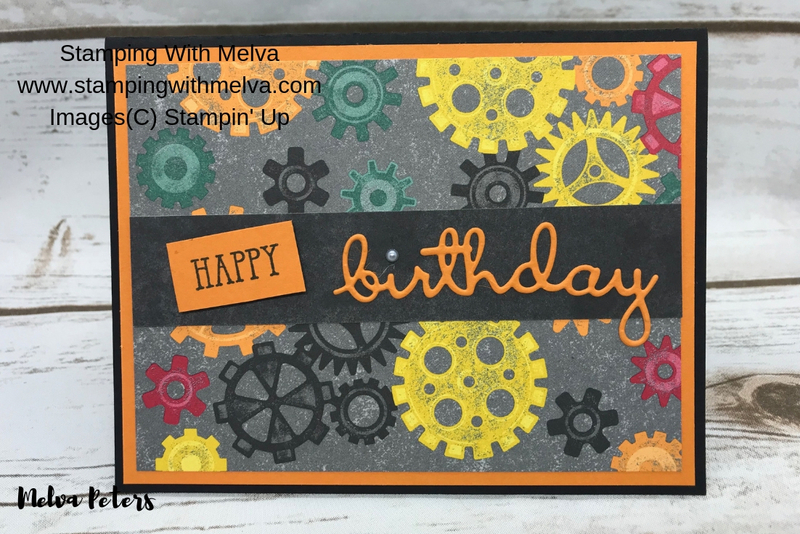 My card today features the Well Said Bundle and the Classic Garage Designer Series Paper that are perfect for a masculine birthday card. Score Basic Black Cardstock (5 1/2" x 8 1/2") in half to make card base. Attach a piece of Multipurpose Adhesive Sheet to the back of a scrap piece of Pumpkin Pie cardstock. 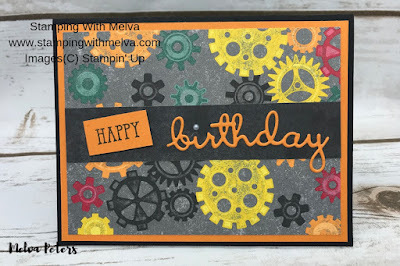 Cut out the "birthday" sentiment using the framelit from the Well Written Framelits Dies. 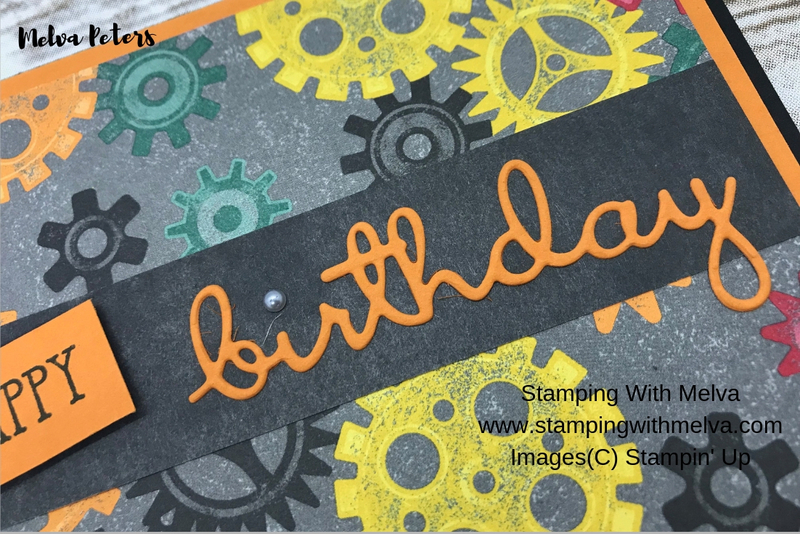 Adhere the "birthday" cut out to a piece of black Classic Garage Designer Series Paper (1 1/4" x 5") by peeling off the backing from the cut out piece. 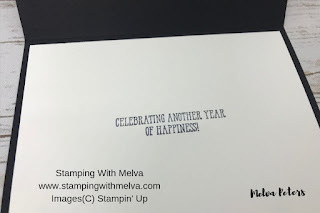 Stamp "Happy" on a scrap piece of Pumpkin Pie cardstock. Cut it out using Snips. Note: I wasn't really worried if it wasn't perfectly straight on this card. 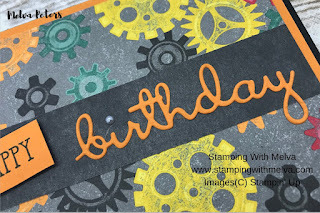 Adhere the cut out "Happy" beside the "birthday" using Dimensionals. Adhere to Classic Garage Designer Series Paper (5" x 3 3/4") using Snail. Adhere to a piece of Pumpkin Pie cardstock (4" x 5 1/4") using Snail. 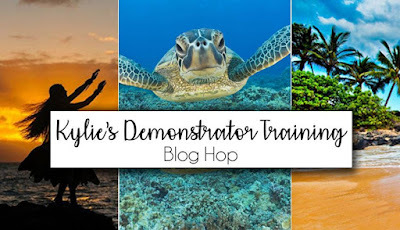 Adhere to the card front using Snail. Add a Silver Pearl above the "i" in "birthday"
Please be sure to use the current Host Code BET3BVQX to receive a free gift from me in February. 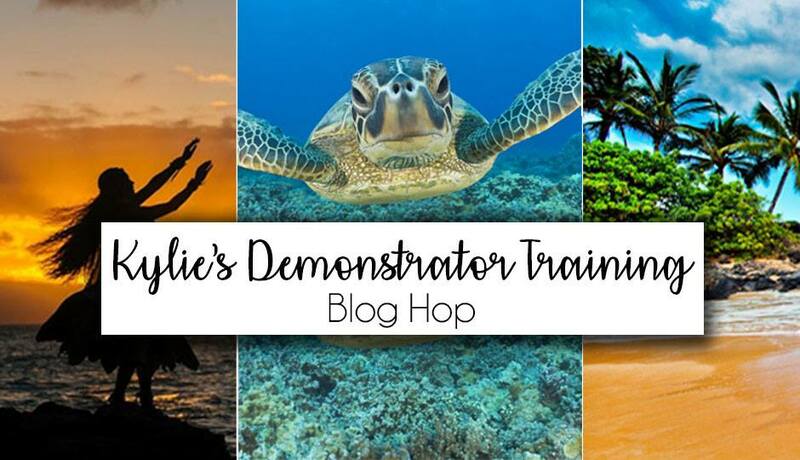 When you place a $50 order (before shipping and taxes) using the Host Code, I'll send you four cards and instructions by mail as a thank you. If your order is over $200, please do not use the Hostess Code as you'll qualify for Stampin' Rewards, but I'll still send you the 4 free cards!